Director of HomePLACE for the Georgia Public Library service. Lives in Athens, Georgia. DALTON, Ga — An historic scrapbook documenting the history and progress of the city of Dalton has been digitized and added to the Digital Library of Georgia. Funding for this project was provided by Georgia HomePLACE, the digitization unit of the Georgia Public Library Service, in partnership with the Northwest Georgia Regional Library System. 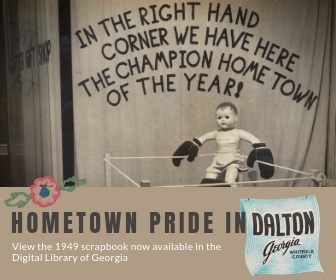 The scrapbook provides details about Dalton’s business and industry, education, agriculture, tourism, and municipal development. Researchers, historians, and genealogists will find rich source material, including economic reports, club rosters, and before-and-after shots of building and infrastructure improvements around town. 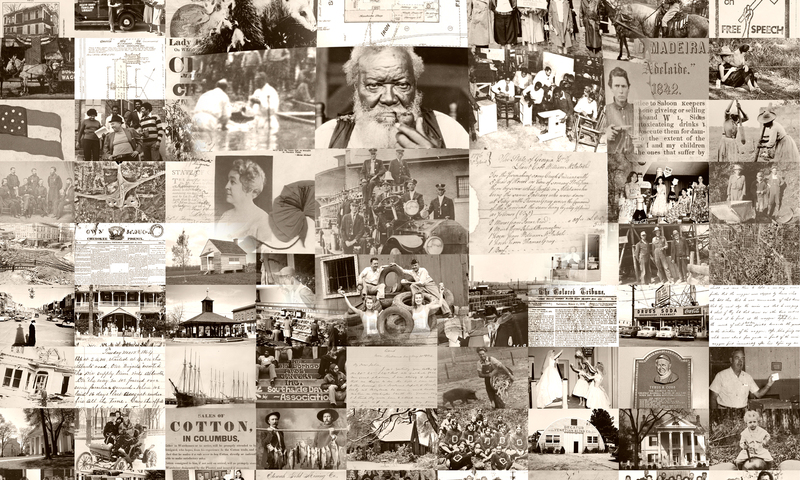 K-12 students and educators can use these local, historical materials to supplement social studies curricula. Based at the University of Georgia Libraries, the Digital Library of Georgia is a GALILEO initiative that collaborates with Georgia’s libraries, archives, museums and other institutions of education and culture to provide digital access to key information resources on Georgia history, culture and life. The Digital Library of Georgia also serves as Georgia’s service hub for the Digital Public Library of America and as the home of the Georgia Newspaper Project, the state’s historic newspaper microfilming project.